Climate Smart Glacier Country > Blog > Built Environment > Nominate a Climate Smart Champion! Nominate a Climate Smart Champion! Are you inspired by someone who is making the world a better place through leadership or example? Do you know students who are working to protect the environment? Does your favorite business go above and beyond to reduce its carbon footprint? Climate Smart Glacier Country wants to hear your stories! Our first annual Climate Smart Champion Awards will recognize businesses, youth and individuals who are creating local solutions to the challenges posed by climate change. The community partnership is accepting nominations through March 24, 2017. Winners will be announced at the Flathead Earth Day Celebration on Saturday, April 22. 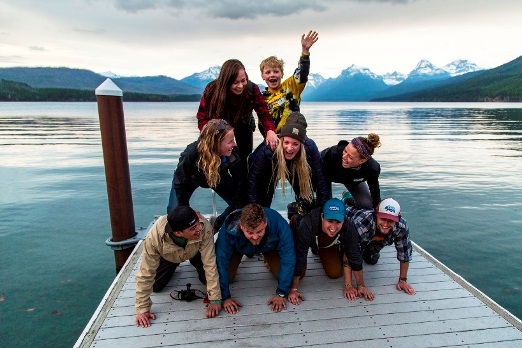 Climate Smart Glacier Country was formed in 2016 as a public-private partnership between local businesses, schools and organizations, Glacier National Park, and the City of Whitefish. The group was formed to support local climate solutions, and it avoids political advocacy or national policies, Folz noted. In 2006, the National Park Service awarded Glacier National Park its “Climate Friendly Parks” designation. The park is committed to sustainable and environmentally sound operations and seeks to serve as a model for other parks and gateway communities. When the City of Whitefish joined Glacier and others to form the public-private partnership in May, the Whitefish City Council decided to draft its own Climate Action Plan. City Councilor Richard Hildner is one of ten citizens appointed to the Climate Action Plan Committee by Mayor John Muhlfeld. “We’re part-way through our energy inventory, and we’ve already uncovered ways to save taxpayer money and reduce waste in our energy and water systems,” Hildner said. The partnership will recognize Climate Smart Champions in three categories: Youth, Business and Individual Leader. The youth category may include student groups or individuals. Nomination forms are available at ClimateSmartGlacierCountry.org. The 2017 Champions will be announced on April 22 at the annual Flathead Earth Day Celebration at Whitefish Middle School, 11 a.m. – 3 p.m.